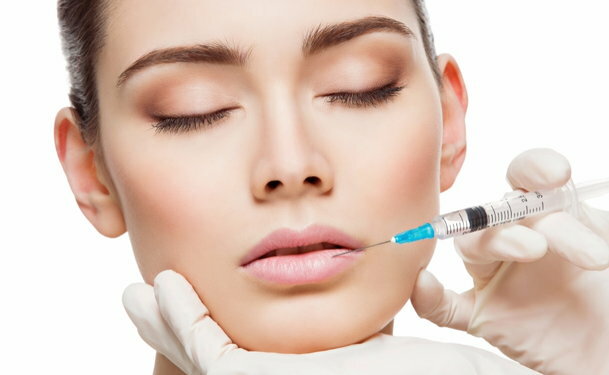 Perlane is a dermal filler composed of hyaluronic acid that is injected into the skin by a medical professional. Perlane is designed to restore a youthful appearance by filling wrinkles and skin folds, making them less noticeable or vanish altogether. Perlane works by filling in lines, wrinkles, and folds that occur naturally as a person ages. When they are filled they disappear or become much less noticeable depending on how severe they are. Perlane also restores volume to the skin, making it appear more vibrant and youthful. What areas of the body does Perlane treat? Typically Perlane is used to treat lines and wrinkles on the face. It is most often used for treating common problem areas such as crow's feet around the eyes, forehead wrinkles, and the nasolabial folds which are the lines than run from the corners of the mouth to the nose. Perlane is injected into the skin by a doctor or dermatologist. The procedure is relatively simple, and patients can typically return to their regular life immediately after receiving injections. The procedure typically only takes about 30 to 45 minutes. The effects of Perlane are not permanent, so additional treatments are required to maintain the desired appearance. Results can last 6 to 8 months, so most people require additional treatments once or twice a year. Most people recover from Perlane treatments relatively quickly with very few side effects or complications. People can usually return to regular day to day activities immediately after the procedure. The full results will not be noticeable immediately. For the first few days the areas around the injection sites may be sore. Full results will be apparent within roughly seven days. What will the results of Perlane be like? Recipients of Perlane injections enjoy a more youthful appearance. Perlane dermal injections work by filling in wrinkles and folds which results in a younger, more vibrant face. The results will last six to eight months. Who is a good candidate for Perlane? Candidates for Perlane are healthy individuals suffering from severe facials wrinkles and folds. Women who are under the age of 18 or are pregnant or breast feeding should not use Perlane. In addition, people who are currently taking or have recently taken medications to treat blood clots or to thin the blood also should not use Perlane. Mentioning any health conditions you experience and medications you take can help your doctor determine whether or not you are a good candidate for Perlane treatments. What are the advantages of Perlane over other similar treatments? Although collagen was once the standard treatment for wrinkles, it has become relatively obsolete. The effects of Perlane last longer and appear more natural. Perlane contains hyaluronic acid which occurs naturally in the body. This makes it a safe and effective treatment. Because hyaluronic acid occurs naturally in the human body it works to fill wrinkles in a manner that appears natural. What are the risks of Perlane? Perlane is a relatively safe treatment for lines and wrinkles, but some individuals have reported experiencing various side effects. The most common side effects are temporary and go away within seven days of treatment. These include redness, swelling, or soreness at the injection points, headache, itching, and nausea. In very rare cases, small red bumps may also occur. Is Perlane approved for use in the US? The FDA has approved Perlane for use in the United States as a cosmetic treatment for moderate to severe folds and wrinkles on the face. Are Perlane treatments covered by health insurance? In most instances, Perlane treatments are not covered by health insurance because they are considered cosmetic. Treatments cost an average of $500 to $900 per session. If you cannot afford to pay the full amount out of pocket, many providers offer convenient payment options.